Prince George's County Executive Angela Alsobrooks has named Alvin Thornton to serve as the chair of the county's board of education. Thornton led the 1999 state commission that came up with the Maryland state education funding formula that's still in place today. WASHINGTON — Prince George’s County Executive Angela Alsobrooks has named Alvin Thornton to serve as the chair of the county’s board of education. Thornton led the 1999 state commission that came up with the Maryland state education funding formula that’s still in place today. State lawmakers still refer to the “Thornton plan” when discussing education spending plans. “He’s legendary. I don’t think it’s an exaggeration to say that about him,” Alsobrooks said. She added that she consulted with school officials and the members of the county school board before announcing her selection. “And to a person, they all thanked me for the appointment. That is unusual,” Alsobrooks said. That’s an understatement. 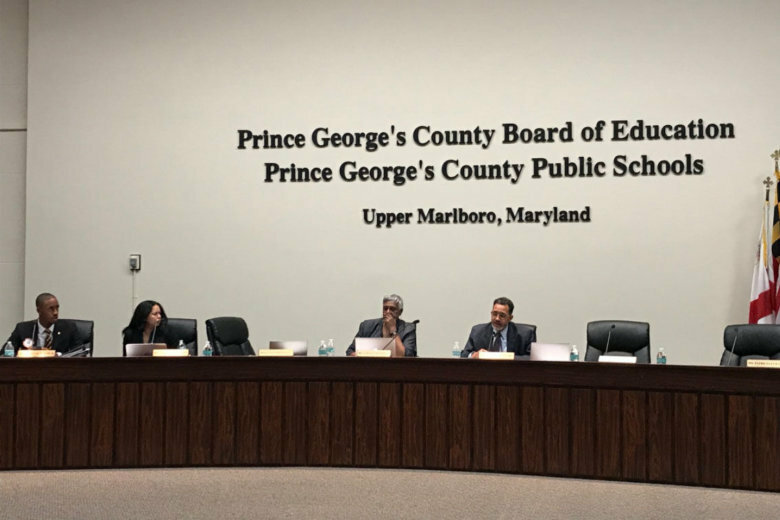 For years, there had been fault lines on the board, with several members critical of past Chair Segun Eubanks, as well as past schools CEO Kevin Maxwell. At one point, tensions boiled over when Eubanks was accused of shoving and threatening school board member Edward Burroughs after a heated exchange at a meeting in July. The charges were later dismissed. Eubanks had called them false and reckless. Burroughs said Thornton, who worked at Howard University where he was chair of the political science department as well as associate provost, “has demonstrated commitment and leadership, and has shown to make a big difference” in education in Maryland. Alsobrooks said Thornton will join the school board at a critical time for Prince George’s County’s schools. A new education plan from the Kirwan Commission is about to be released. Like the Thornton Commission decades ago, the Kirwan Commission, formally known as the Maryland Commission on Innovation and Excellence in Education, has been working on the funding formula for the future. Next on the agenda for Alsobrooks: naming the new CEO for the school system. Maxwell, the former CEO, left after a series of scandals and was given a settlement of nearly $800,000. Currently, Monica Goldson holds the job as interim CEO. Alsobrooks said Goldson has been getting “rave reviews” for the job she’s doing now, but didn’t go further than that.